They currently work in the Dallas-Fort Worth area often. Our couples in the recent past have loved working with them. 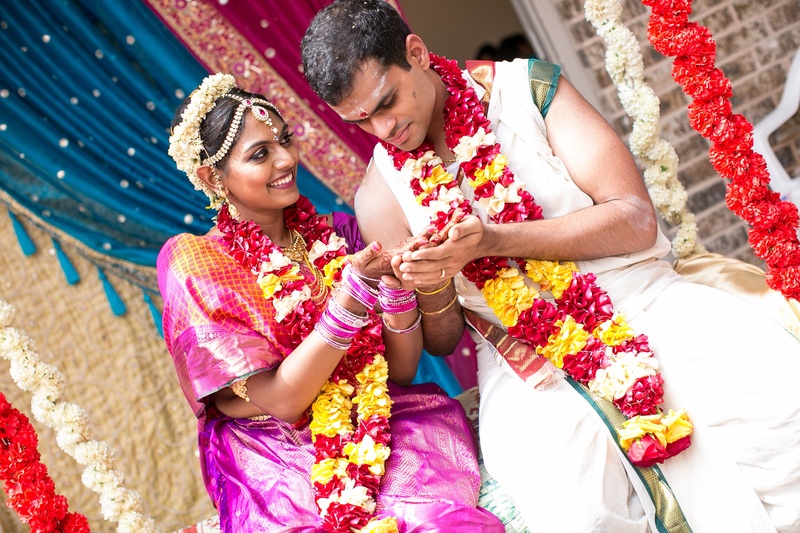 We only wanted to give you the best South Asian wedding photo video companies in Dallas. They must predominately sell photo and video services together. There are pros and cons to having one company capture your wedding but we see some couples wanting to pick one company rather than choosing two different companies for both. The following Top 6 Indian Wedding Photo Video Companies in Dallas are ranked based on who we have worked most often with in the last few years. A&A Photo Video has been in business for over 15 years and has always maintained a high level of quality. It's no surprise that they have secured the first position on our Top 6 Indian Wedding Photo Video Companies in Dallas list. In the last few years, we have worked together the most often. A&A started with 4 brothers coming together to start a small business. At one point they had a huge team and were doing close to 20 weddings in a weekend. They also have done destination weddings all around the world. Recently they have gone back to their roots and choose to focus on fewer events and raise the level of quality rather than focus solely on quantity. Their couples are split pretty evenly amongst Hindu (South & North Indian), Christian (Malu) and Muslim (Indian & Pakistani). We recently did a few weddings back to back, and one of them was for Zina & Neil. They held their wedding weekend at the Hilton Anatole in Dallas. We loved providing entertainment and lighting for their Garba, Barat, Wedding and Reception. The couple featured below is not from one of our mutual weddings but we wanted to share to show you how much they travel. Fill out the form on this page and we will send you the contact information for everyone on this list. Also if you are still looking for a venue check out our blog on the Top 22 Indian Wedding Venues in DFW. Mir Anwar Studios is based in Houston but they do a lot of work in Dallas and our neighboring states (Louisiana & Oklahoma). We have worked with them in 3 different states over the last few years. Mir is probably the youngest member of the Indian Wedding Photo Video Companies in Dallas list. He has the experience and also offers new ways of being creative. He can capture any type of wedding, but his main focus is Gujarati Hindu & Muslim weddings. A vast majority of weddings we have done together are couples with both sides being Gujarati. Both our teams got to work together on Urvi & Sunny's wedding at SLPS in Irving, TX. Don't want to get married at a hotel? Check out our blog on the Top 9 Indian Wedding Venues that aren't hotels. Parthiv & Mukesh Mistry are a father-son duo behind Digital Shaadi (no its not a matrimonial site). We are proud to be in the Indian wedding industry for the past 24 years, while this team has been doing it for well over 30 years. Their main focus is Gujarati weddings. In fact, Mukesh Bhai did some of the first Indian weddings in DFW. We have worked with him for close to 15 years in Dallas and Oklahoma. Parthiv aka Party was instrumental in taking the original brand with a lot of experience and adding the new style and flavor that current couples wanted. They made the Top 6 Indian Wedding Photo Video Companies in Dallas list because of all of the Gujarati weddings we have done together. Check out this video from Akisha and Pavan's wedding at Courtyard Marriott in Grapevine which we got to work together on. Fill out the form on this page and we will send you the contact information for everyone on this list. Munaza Saiyed is the owner of Texpertz. We have done many weddings together in the past but haven't seen her as often as we use to. Her work is always consistent and has been that way for years. A majority of weddings they have done recently are for Sunni Muslim weddings. Texpertz has taken the 4th position of the Top 6 Indian Wedding Photo Video Companies in Dallas list because they have became more selective with choosing their couples. There was a time when we worked together almost every weekend in the summer. When we worked together in the past it was for a variety of different types of Indian weddings (Hindu, Muslim and Christian). A majority of weddings we have done recently together are fun Sunni Muslim weddings where people value great music, amazing decor and want it all captured perfectly. Check out this video from Nadia & Muneeb's wedding weekend held at multiple venues including Southfork Ranch. Aventography is owned and managed by Zia Ahmed (aka Z, The Z Man, Zeefuscious, and probably a few more names). Zia is an Instagram legend with over 95k followers and an average of 4k interactions on each post. He does a lot of style shoots but we normally see him at Ismaili weddings. He can do any type of weddings but recently its been predominately Muslim weddings. Check out this video from Ali and Neelam's wedding we did together. Find the perfect Indian Wedding Photo Video team for your wedding in Dallas by filling out the form on this page. KSD Weddings clinches the final position on the Top 6 Indian Wedding Photo Video Companies in Dallas list. Tina Doshi is the owner and operator. The company begin in New York and still does a lot of its weddings there. Tina moved to the DFW area a few years ago. We got a chance to work together for Samyuktha and Sanjeev's wedding. Like us, she does a wide variety of weddings including Hindu, Muslim and Christian weddings. Expect this name to become more popular and known in Dallas. Find the perfect Indian Wedding Photo Video team for your wedding in Dallas by filling out the form on this page. A wedding is the happiest moment in your life and you should choose an Indian Wedding photo video team in Dallas that you love. Over our 24 years of bringing joy to thousands of couples, the DJ Riz Entertainment team has performed many times with everyone on the Top 6 Indian Wedding Photo Video Companies in Dallas list. Given these points, if you would like to talk about which South Asian wedding photo video team you should select, we think it is best for you to starting by contacting us here for more information on our services.